What if you could explore an entire province by bicycle – including a trail system the length of Chile – with the help of a passionate (and athletic) guide? Toerisme Gelderland’s “5000km Gelderse streken” campaign allowed community members to participate with Mirre, an intrepid destination ambassador for the Dutch province of Gelderland, in a 100-day cycling adventure. The campaign elicited consumer engagement and community involvement through an authentic expression of one of Gelderland’s most important experiences: cycling. By focusing on this niche, the destination was able to showcase many important experiences the province has to offer while involving many stakeholders and tourism partners. 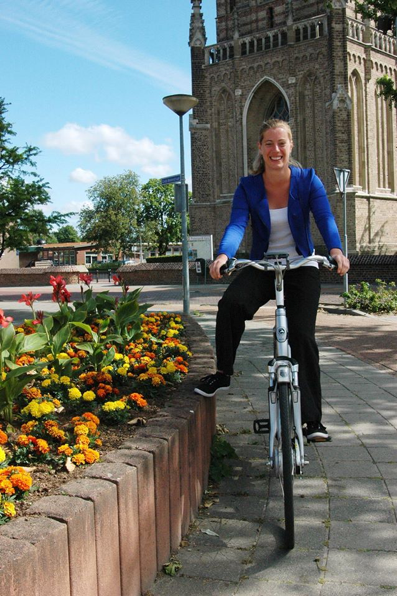 During her 100-day journey, Mirre visited Gelderland attractions, events, restaurants, museums and more. As she shared experiences from her bicycle, she created quality content for web and social media, which helped her build an engaged community that followed her every step. Gelderland sought to distinguish itself as a desirable destination to potential travellers from Dutch cities like Amsterdam, Rotterdam and Utrecht. This rural province of the Netherlands has much to offer to those seeking a relief from the busyness of city life, but it lacks iconic landmarks and attractions that often serve as obvious visitor draws. Its industry partners expressed a strong desire to focus efforts on online marketing in a way that communicates the province’s authentic strengths. Defining the identity of the region became a key challenge that would shape not only future messaging, but also stakeholder involvement. Toerisme Gelderland’s funding model allows industry partners to contribute financially to a campaign in order to build sustainable support and participation. Following these investments, stakeholders have a key role in shaping and contributing to the destination’s efforts. As a result, the funding model and the campaign needed to strike a balance that would support the needs of the province, the regions within the province, and other industry partners. With this in mind, how would the destination promote its most authentic and valuable experiences? How would Gelderland promote a niche experience? An innovative approach was needed. 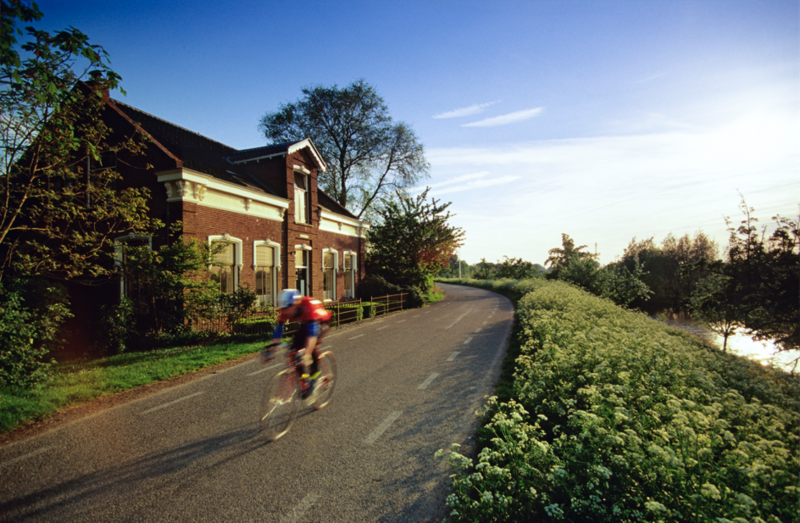 Gelderland has more than 5000 kilometres of cycling trails, so presenting the province as a cycling destination was a natural fit, while presenting the opportunity to include stakeholders throughout the province. Brainstorming sessions led to the idea, which stood out for its authentic expression of the destination’s identity. Toerisme Gelderland worked with Destination Think!’s marketing agency to move away from traditional advertising methods such as TV and radio ads and into a more niche-focused, consumer-centric approach. The integrated campaign would exist online and offline; involve partners, regions, and the province; focus on cycling; and generate positive word-of-mouth marketing with an ambassador cyclist who would make a 5000-kilometre trek passing through every trail in the province. 5000 kilometres is a long way. The agency searched for an adventurer that could enthusiastically complete the whole distance in 100 days while showing off the best that each region has to offer by visiting operators, partners and influencers. This plum job offer was shared widely online and offline, including mentions by national news outlets and radio stations. Thanks to the wide coverage, Gelderland received 900 qualified applications while spending only 8% of the campaign’s total ad budget. Ten finalists were chosen for interviews based on very specific criteria. Ranging in age from 18-45, each candidate could cycle at least 50km/day, and each had some skill in creating online content, whether video, blogs, social media, or a combination. Motivation, work ethic and attitude were also key characteristics to consider, since the campaign would require endurance and a willingness to engage and inspire the community at every stage. This criteria led the project team to choose Mirre as the ambassador. Once Mirre joined the campaign, the team worked to prepare her for the trip, to finalize the 100-day itinerary and to set up her gear to her specifications. The agency created an online tool where the community could submit tips to Mirre and see which tips others had submitted, which helped maintain the momentum created through the search phase. Mirre also launched her own social channels to involve the community in her preparations. The community followed Mirre’s progress on this webpage and through social media. By the time the 100-day bike ride began, Mirre had already built a loyal following who followed her efforts every day. Many in the community tracked her progress several times a day via GPS on the campaign website using a platform developed by Matise that displayed tweets, Instagram posts and Swarm check-ins along her route. The campaign also featured live video streaming several times a day. Mirre posted blogs and vlogs of her experiences, gave personal and practical insights into the destination and maintained ongoing dialogue with the community through her social channels. To maintain interest over the whole trip, the campaign included special events such as community meet-ups, interviews with influencers and unusual experiences. One highlight was when Mirre went on a night safari in Burgers Zoo, where she could experience the animals at night, when they have a completely different rhythm than during the day. With this campaign, Toerisme Gelderland also made an important shift toward consumer engagement as a key marketing objective. By involving stakeholders, the destination has prepared itself for future success by developing an important niche that will continue to develop for years to come. • The campaign generated a Potential on Investment of €1,200,000. • More than 8,000 people returned to the site more than ten times. • More than 2,000 click-throughs to partner websites. • More than 120+ blog posts and 8000 photos were published. Watch the video below to get a sense of the scope of Mirre’s journey, including some of the consumer engagement and results of the 5000km Gelderse streken campaign. Related: Read about Community and Collaboration, one of the four critical trends impacting today’s destination marketing leadership. At Think! Marthe combines her organizational talent with a worship for teamwork and a ton of enthusiasm. She is firm believer that problems are there to be solved and applies her top-level communication and strategic thinking skills to successfully manage projects across Europe. Marthe’s favorite thing about traveling is that it opens minds and widens perspectives. Learning from others about values and respect has humbled her and inspired her quest for lifelong learning. Terrific content – thank you for sharing the details of this successful campaign! To maintain interest over the whole trip, the campaign included special events such as community meet-ups, interviews with influencers and unusual experiences. One highlight was when Mirre /whent/ on a night safari in Burgers Zoo, where she could experience the animals at night, when they have a completely different rhythm than /suring/ the day. Thanks, Paul! Glad you enjoyed the read. I’ve made those changes.